Total Weight: 1,300lbs. / 490kg. 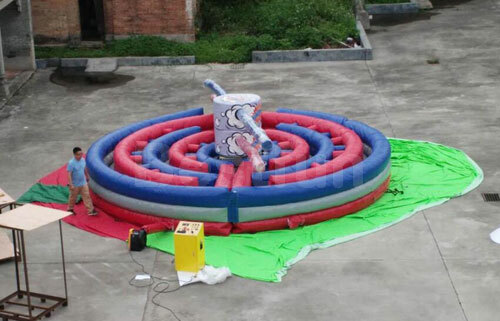 Our obstacle course KAPOW is the most interactive inflatable obstacle course in our inventory. 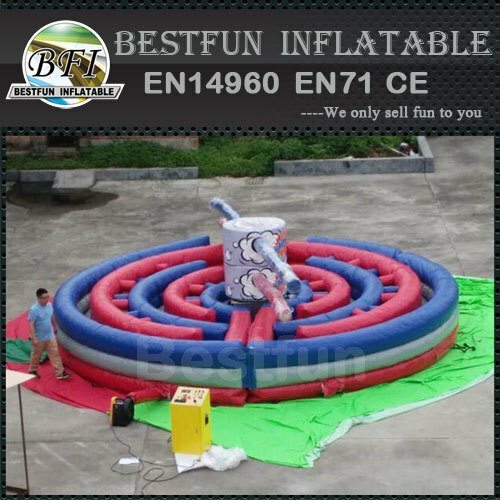 Kapow combines a traditional inflatable obstacle courses with elements of Wipeout. Two participants race against each other through a circular inflatable obstacle course. KAPOW's unique dual rotating boom arms add a level of difficulty. One arm spins in a clockwise and the other arm counter clockwise. Each player will have their own lane, until the final straight where both players race to the finish line. The newest inflatable obstacle course in our inventory is guaranteed to impress. * Two participants set off at the same time at separate entrances to the game. 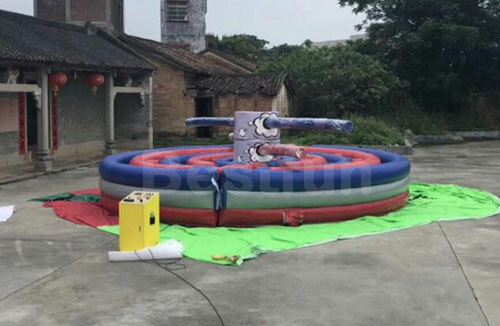 * They will then run through set lanes that have inflatable obstacles in them. * These lanes are based on concentric circles, so participants will have to `turn back on themselves' three times.